The UK has raised its national Value Added Tax rate to 20 percent, and the Chancellor of the Exchequer once again reiterated that the rate will not drop in the foreseeable future. On January 5th UK taxpayers saw their average tax liabilities increase after tax authorities instated the promised rate hike to the national Value Added Tax (VAT). The move has been a matter of debate since its announcement in July 2010, but the Chancellor of the Exchequer George Osborne is still maintaining that the rise was the best possible move for the national economy. As of January 4th all transactions in the UK applicable for VAT will be levied at a rate of 20 percent, compared to the previous rate of 17.5 percent. It is expected that the change will raise an additional GBP 13 billion in tax revenues per year. However, the extra Government earnings will be offset by an 0.3 percent decrease to GDP growth over the 2011 – 2012 fiscal year. 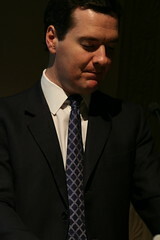 On January 4th, while commenting on the projected figures, George Osborne accepted that the VAT rise is being met with criticism from economists and the public, but went on to say, “…if you don’t want to raise VAT, you have got to do something else.” He added that increases to the National Insurance Contributions (NIC) and personal income tax rates were considered by the Government, but were discounted as the measures would ultimately bring about detrimental effects to the UK’s budgetary deficit standing and economic growth prospects. He explained further that, while the VAT increase may seem harsh now, an NIC hike would be even worse for middle- and low-income earners. While discussing the UK’s tax future, George Osborne reiterated that he considers the VAT increase to be a permanent measure, and a “structural change” to the tax system. However, he indicated that the recently instated 50 percent top personal income tax rate is a temporary measure aimed squarely at providing timely budgetary relief for the country. He stated that if the economy were to recover at a higher than anticipated rate, the Government would consider decreases to personal income tax rates before drops in VAT.